This shows the American duplicity in the whole Syrian affair. In the end both US troops and its allies will be either expelled from Syria or militarily defeated, but meanwhile innocent people are being killed by the warmongers, and the terrorists are being kept active for the benefit of the twisted US foreign policy. 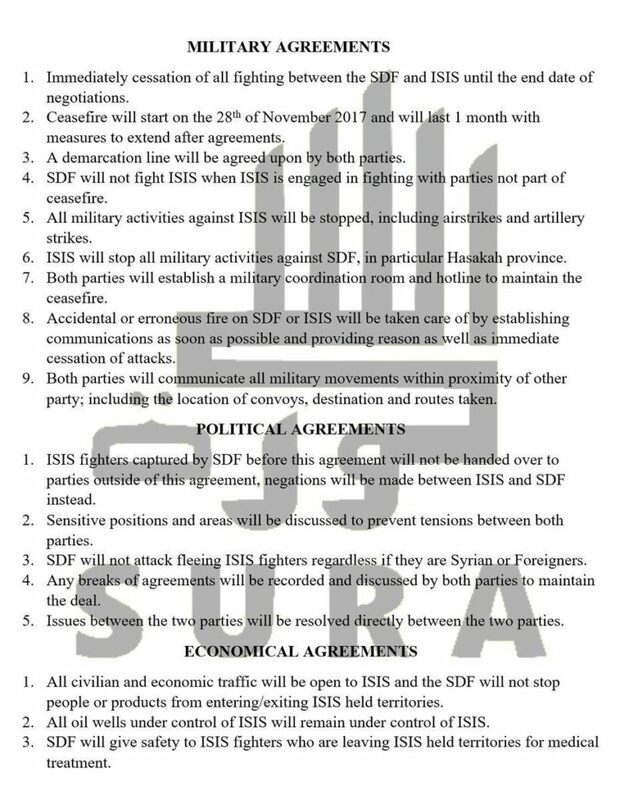 "US to keep supporting SDF, including Kurds, in Syria"
Just as with about everything in the ME, the posted agreement may be a forgery. But it seems to fit with events taking place on southeastern Deir ez-Zor and with SDF's strategy of controlling oil fields in that region. So, I am inclined to believe the document is not a forgery. Whoever wrote it didn't have access to a grammar checker! I think the US State Department has had those for a while now, also their first language is English. But I know you have your instructions Ser.